Last summer our family spent two weeks travelling in the North East. 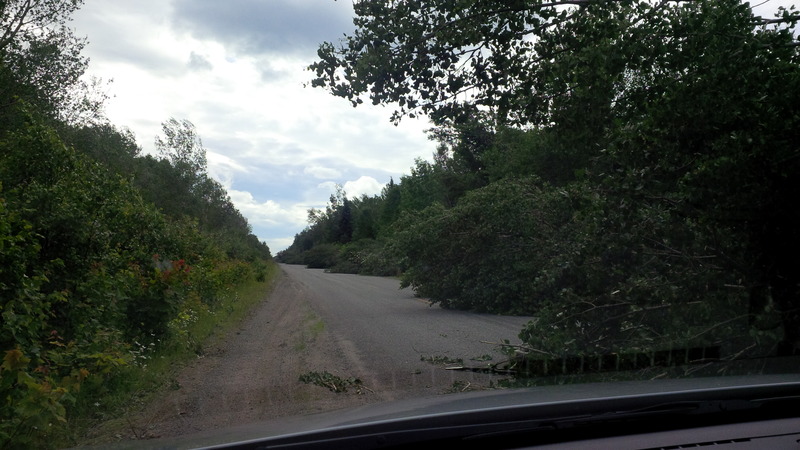 It just happened that we were on PEI when Hurricane Arthur came thru. Now in our situation a lot of things out of our control went right so we were lucky. 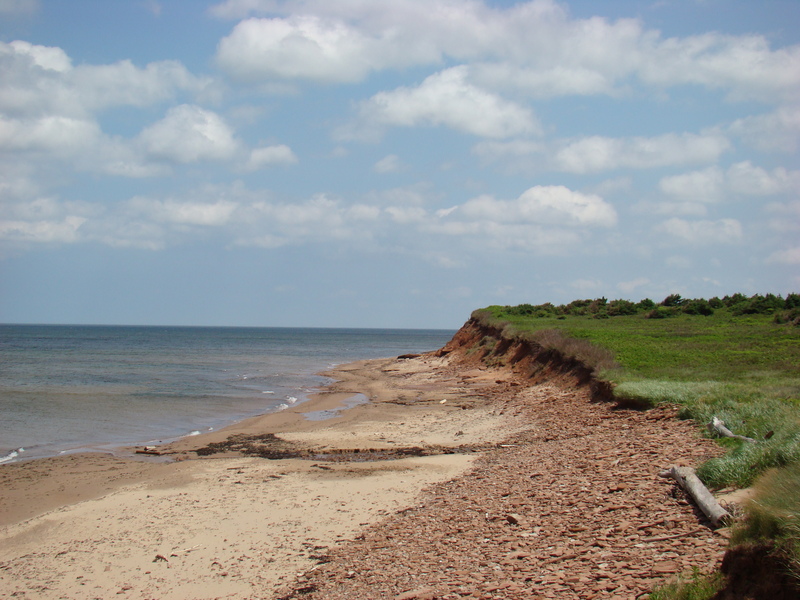 We were on Prince Edward Island at PEI National Park-Stanhope campground after doing a number of days in the Cavendish campground. Stanhope is a much different park from Cavendish. Cavendish has a lot of 100ft pine trees, the type that would cut a camper in half if the wind blew one down, whereas Stanhope had small 10-15′ pines (oversized Christmas trees) which were not a particularly high threat but were still big enough to give us some protection from the wind. Stanhope is also a little higher above sea level. I would say Cavendish is not much higher than about 10′ above sea level whereas Stanhope is about 30-40′. So I was much more comfortable being at Stanhope during a big storm than I would have at Cavendish. Luckily both campgrounds were also on the leeward side of the island (from the expected path of the storm). We knew the Hurricane was coming well in advance, we watched the NOAA Hurricane Center website regularly and had the Weather Radio set to alarm whenever there was a Weather Warning. We also knew that the storm was heading straight for us, but was weakening. We also knew that any chance to make a run for it was gone, as the Confederation Bridge or a ferry were are only options off the Island and we would have to head directly into the storm. We were not confident that we could get off the island and far enough inland in time to escape the storm and we also risked running into it when it was stronger, so we decided to stay put. 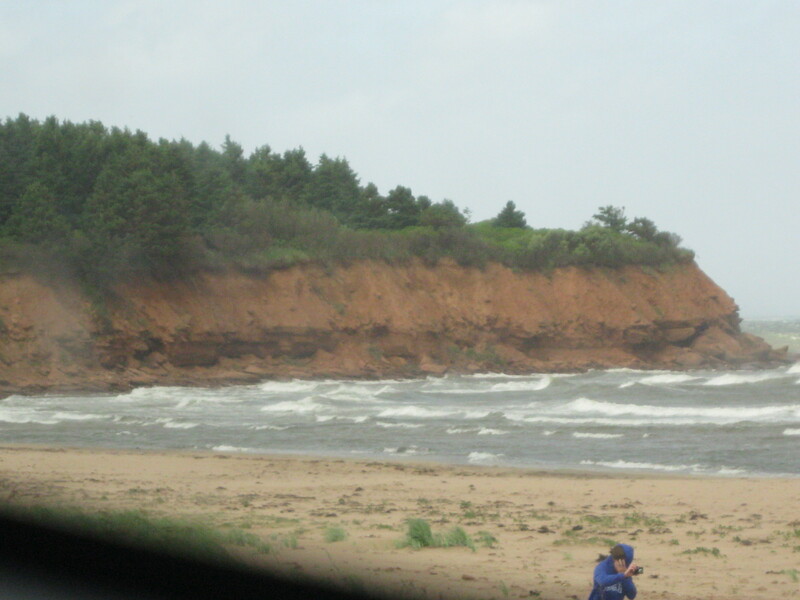 Also if we left the campground and headed into the storm to the bridge and it closed due to high winds before we arrived, we may have ended up stuck on the windward side of the island in an open parking lot at the edge of the Northumberland Strait waiting for the bridge to open up again. It was not all work when the storm was approaching though. The day before started off quite nice, with clear skies and low winds so we even managed to spend time at the beach. That weather did change dramatically as the evening approached. The storm was due to hit the island in the middle of the night that night. So we knew we had to do all our prep that day and hunker down for the night. We filled the fresh water tank (even though we were in full hookup) as we knew that any power outage would knock out the pump for the campgrounds well. It also gave us an extra 500lbs of ballast at the bottom of the trailer. We also drained the holding tanks so we had more room to use the toilet and sink. We charged all electronic devices and spare battery packs. When we went to bed that night, the wind was strong and the rain had started but we knew the storm was now a tropical storm edging close to a tropical depression. The kids slept thru the night but my wife and I both woke up multiple times. The power did go out about half way thru the night. When we woke up, other than the power being out and a couple of downed trees, you would not have known that a big storm blew thru. The tent campers and the less prepared had to take handouts of water bottles from the park staff and had to use the vault toilets. We started our return trip to Ontario that day but we delayed as long as possible until we knew the Confederation Bridge had cancelled its wind closure for large vehicles. We ended up crossing back to New Brunswick in mid afternoon and headed up to Miramichi, knowing that southern New Brunswick got hit harder. It was not until we go to highway 108 to Plaster Rock that we saw the full extent of the storm. Highway 108 is a very isolated but beautiful stretch of road where you will not see a single building for 100km. It turned out that about 50km of that road was so badly hit, it was barely passable. There were so many trees down on the road that the only way it was possible was by driving on the south shoulder the entire way. In the end we were able to get into Quebec to our next stop after nightfall, but unharmed.